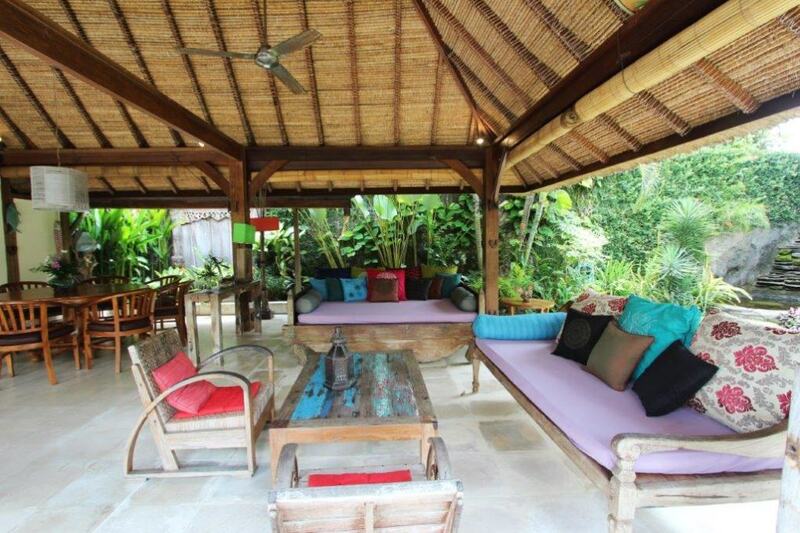 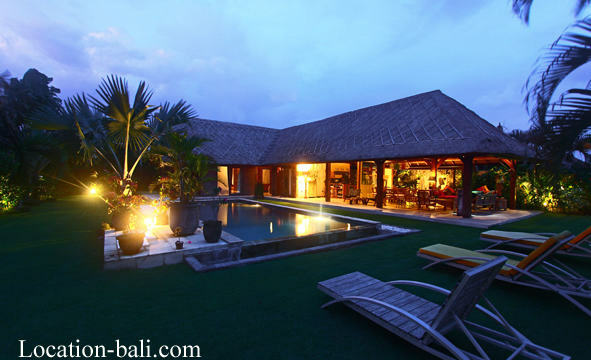 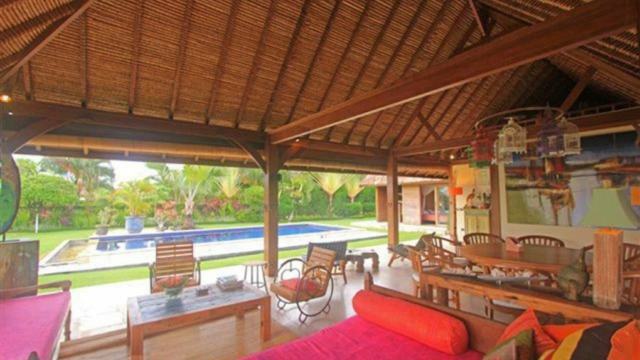 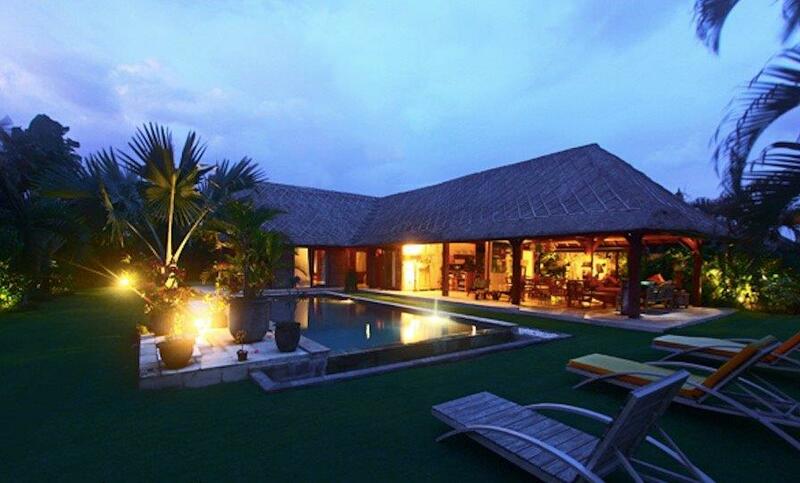 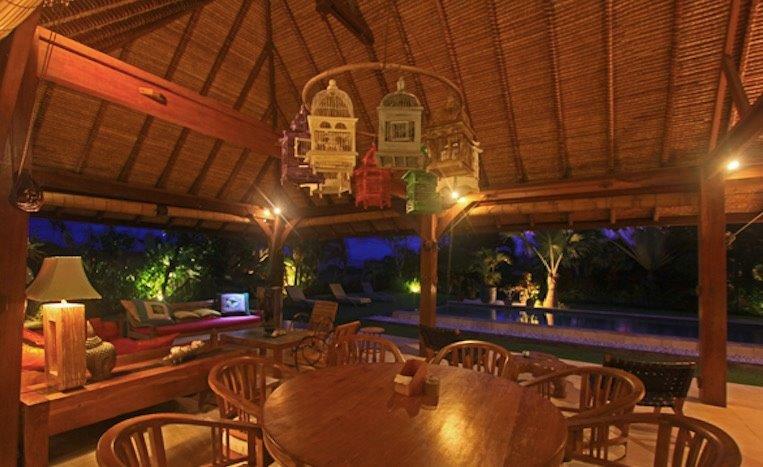 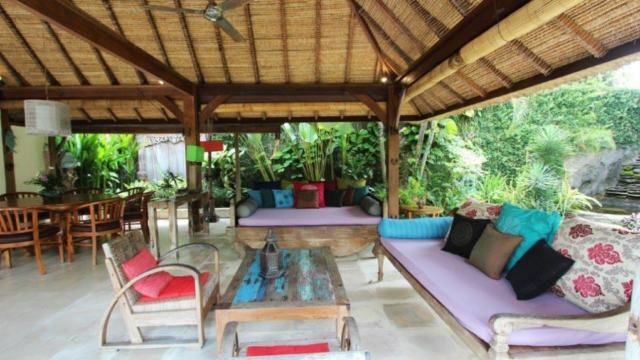 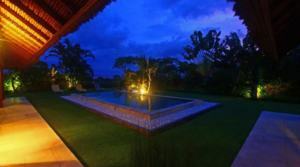 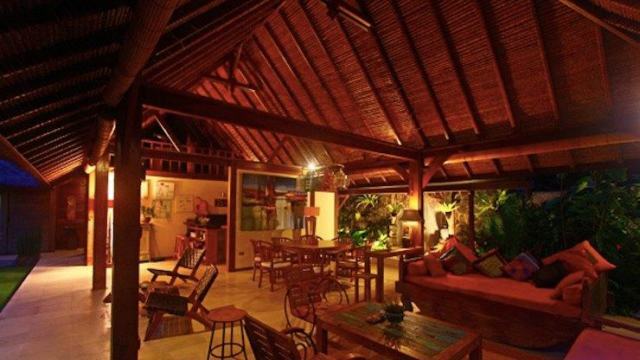 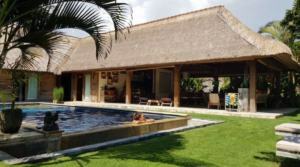 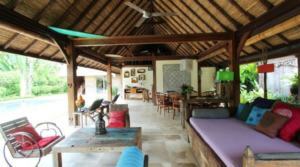 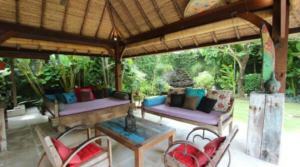 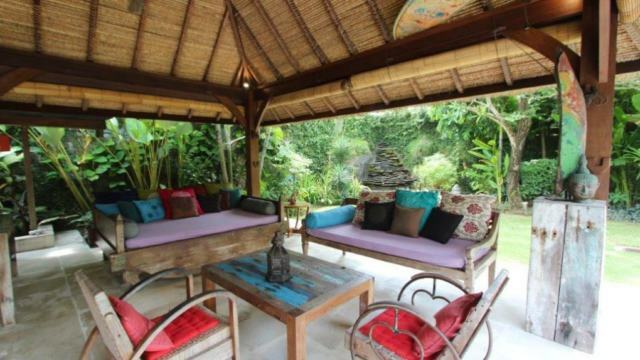 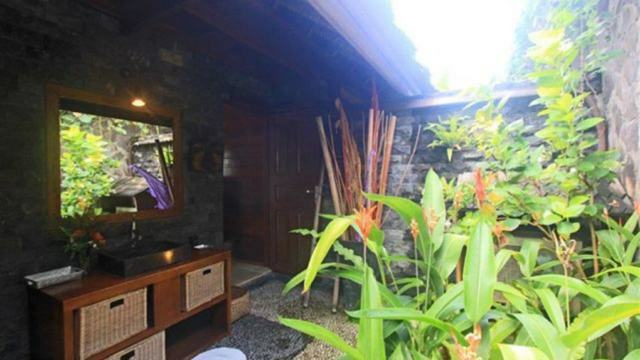 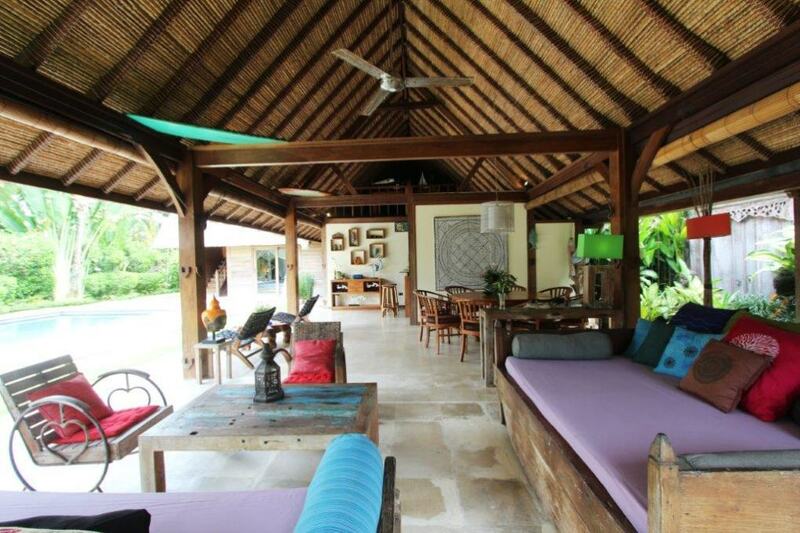 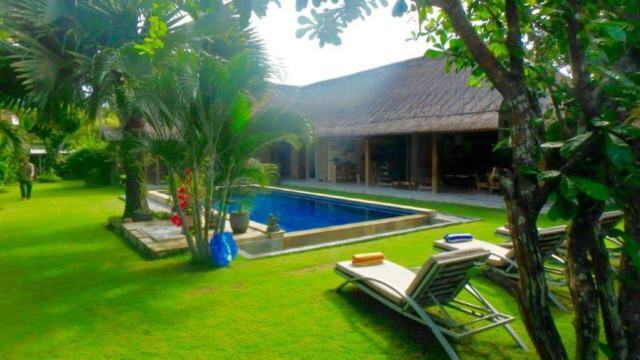 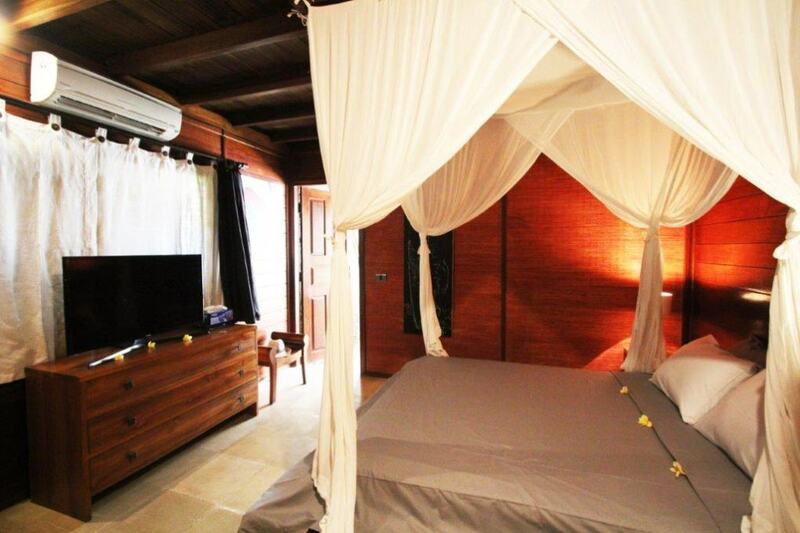 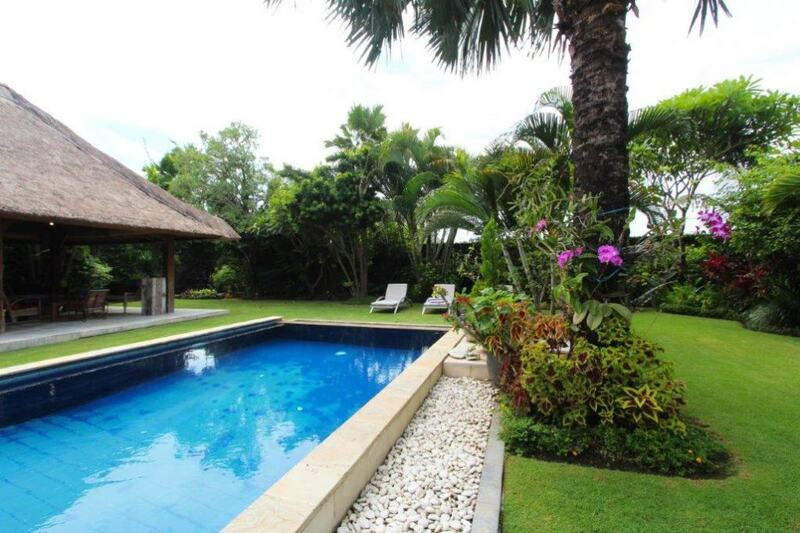 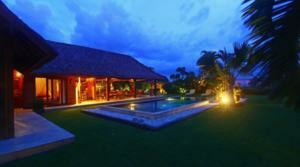 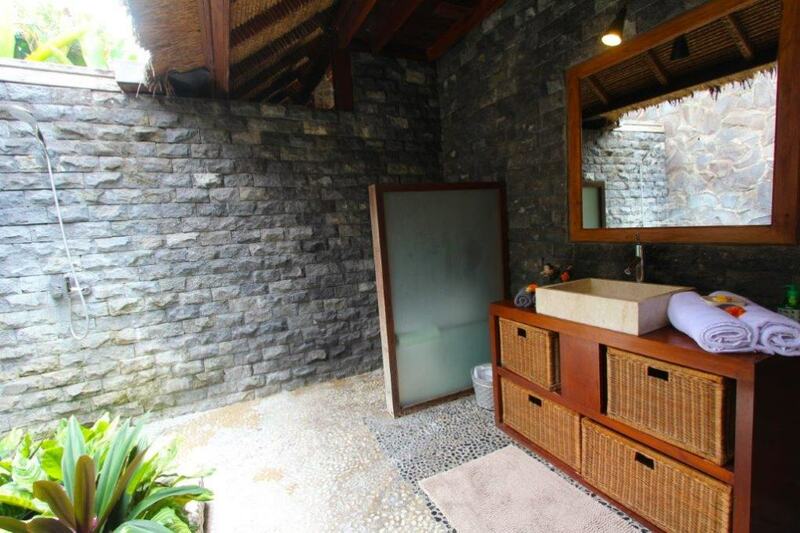 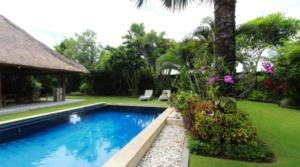 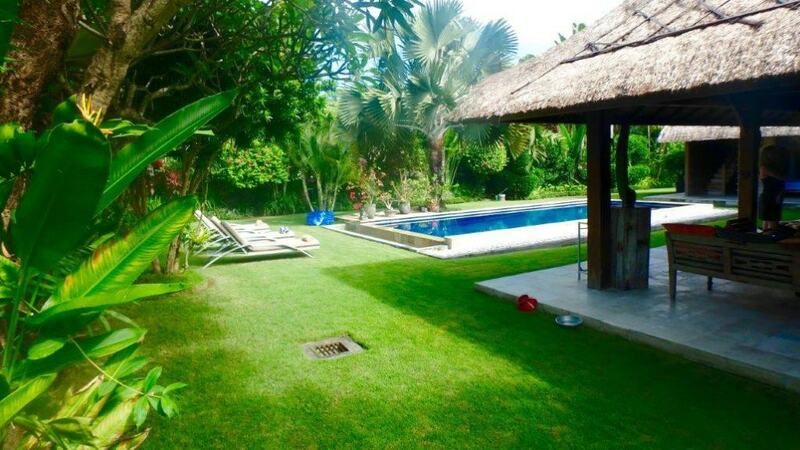 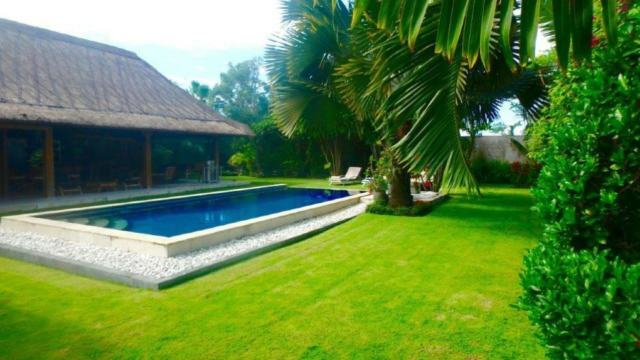 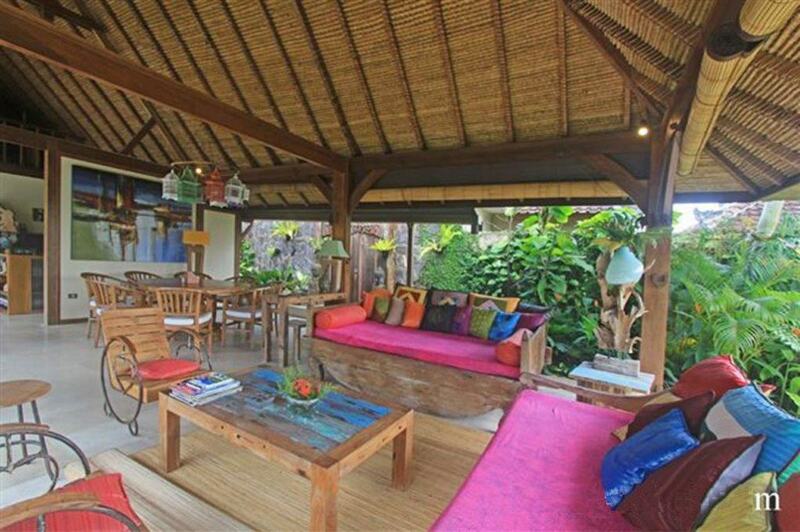 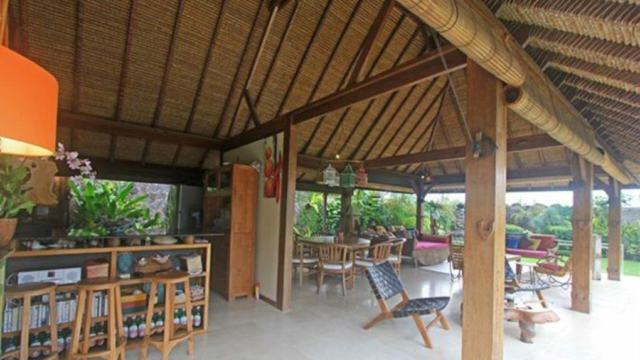 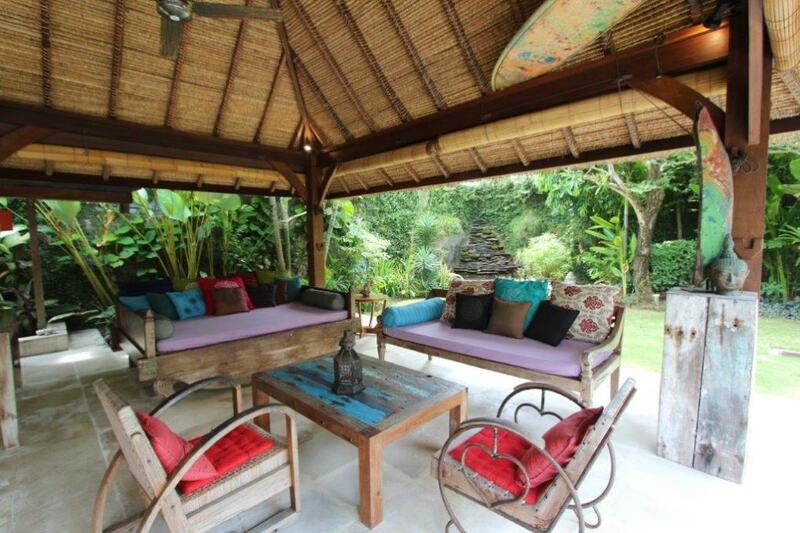 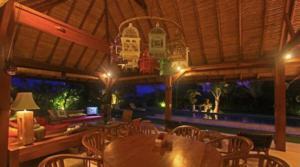 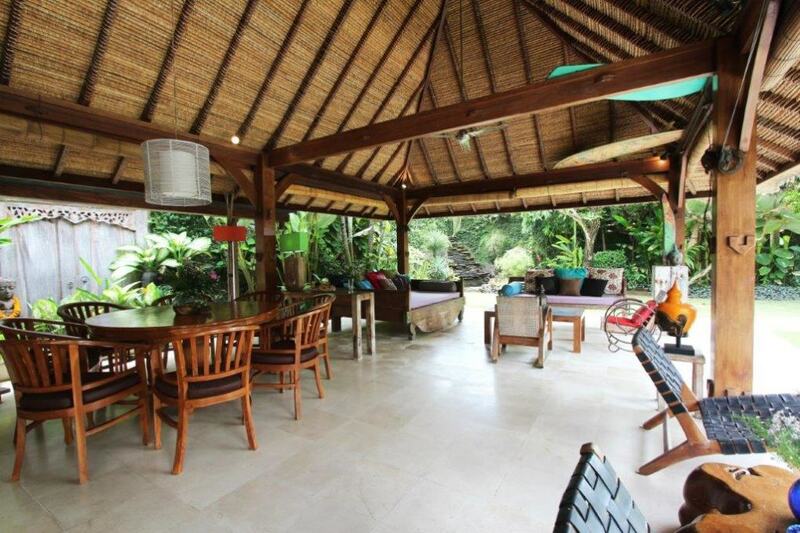 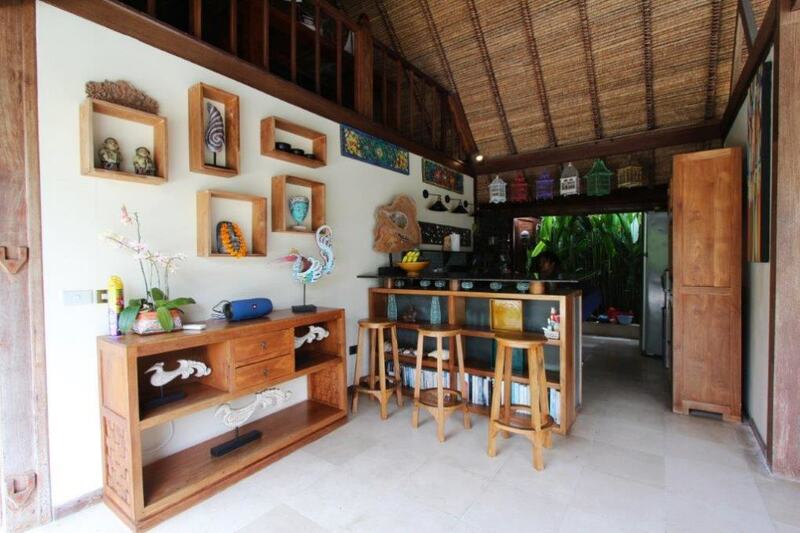 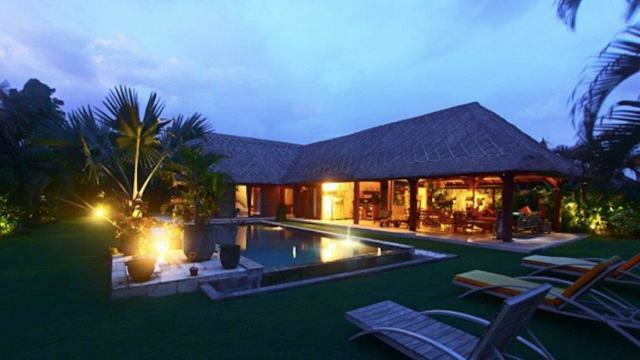 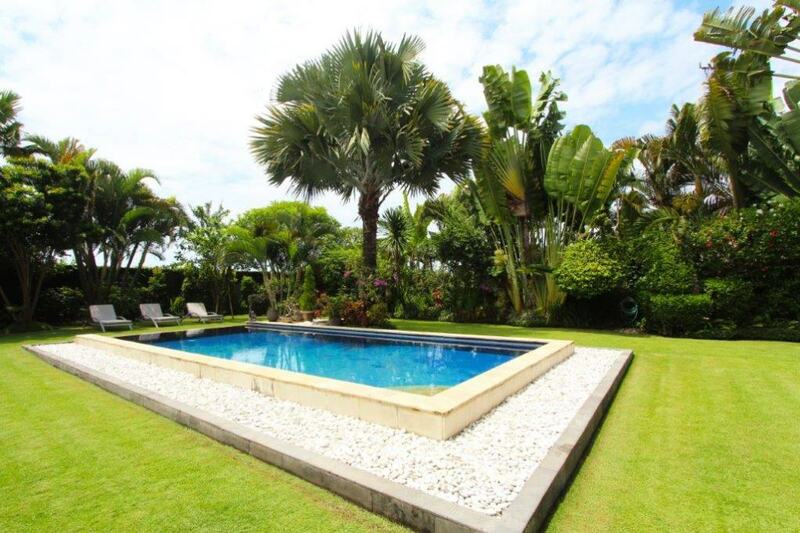 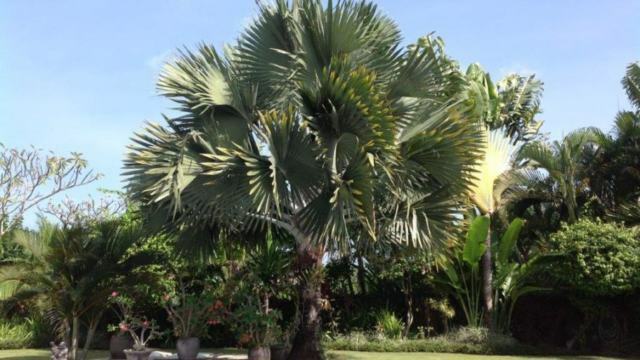 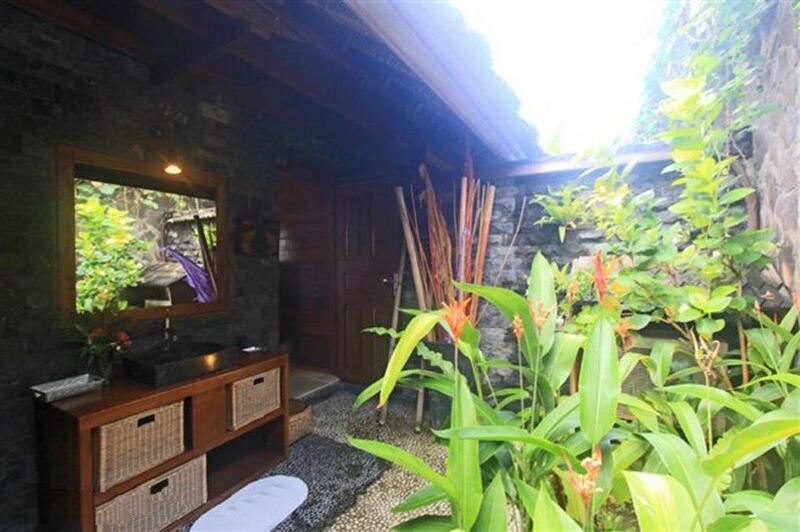 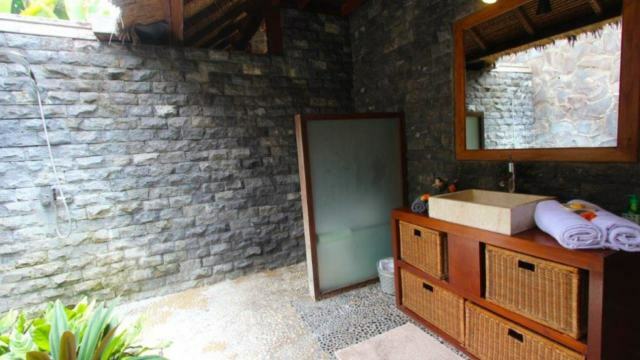 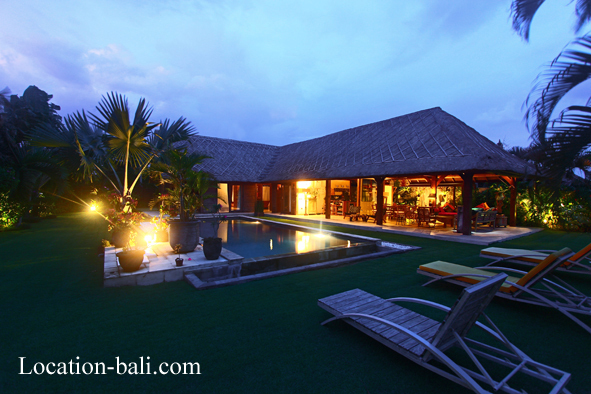 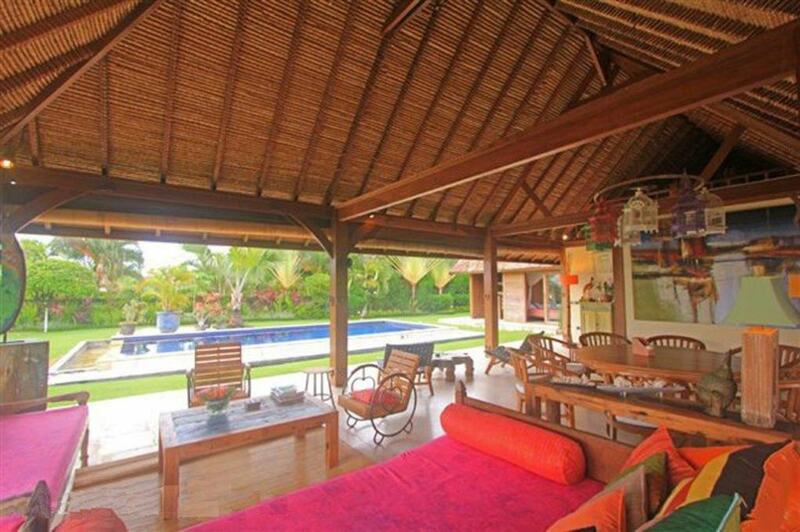 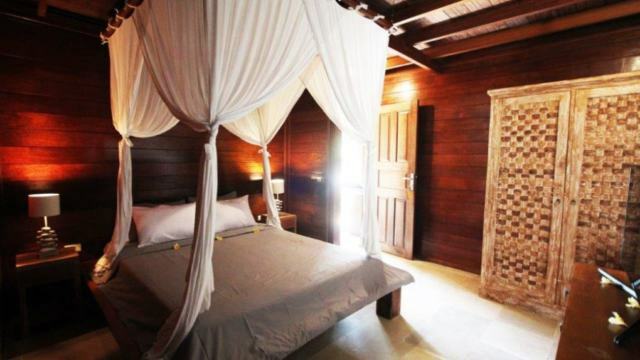 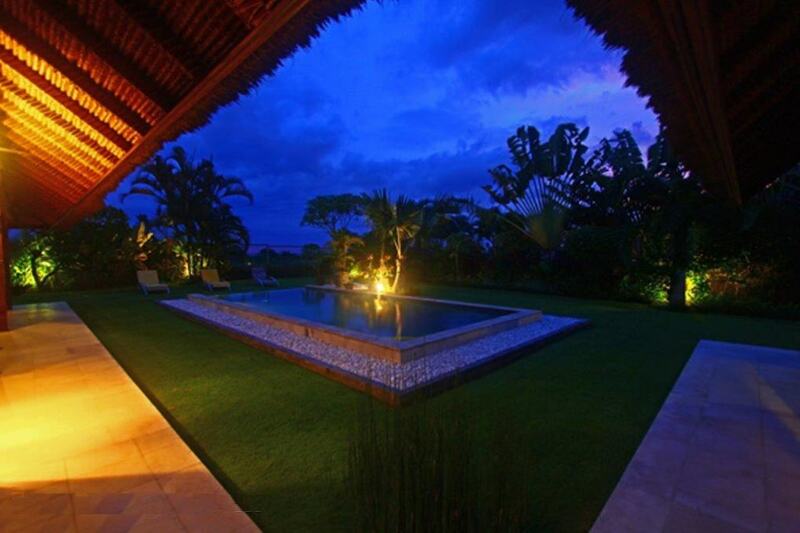 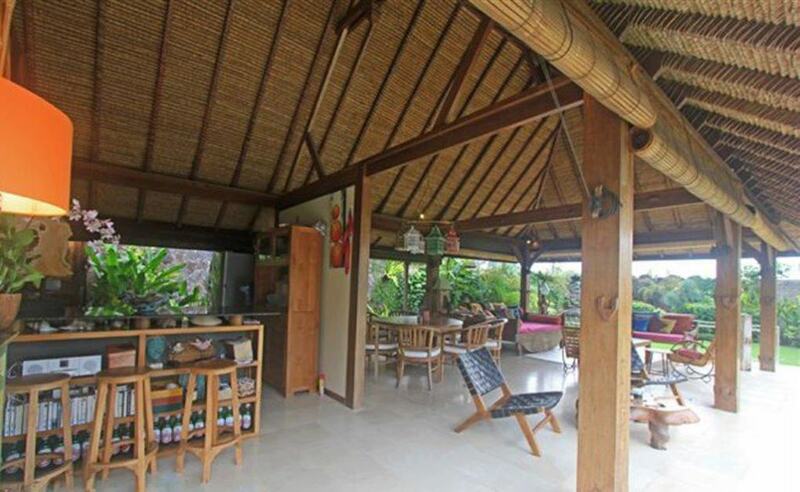 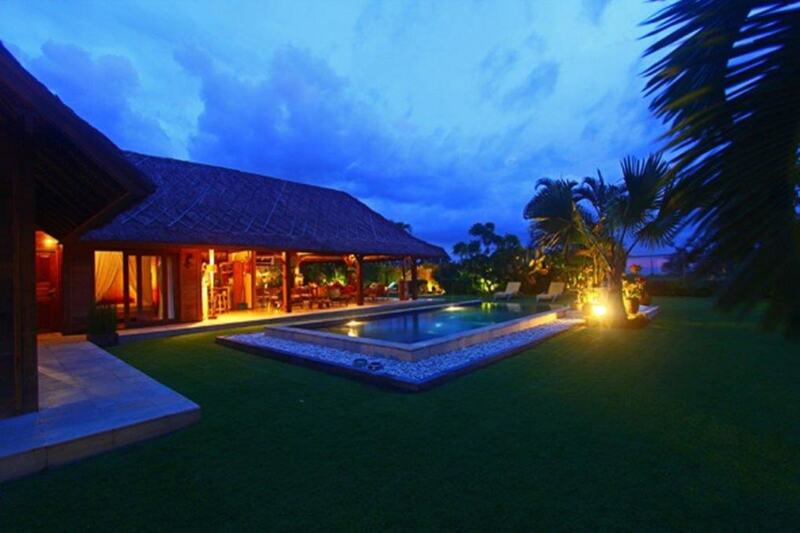 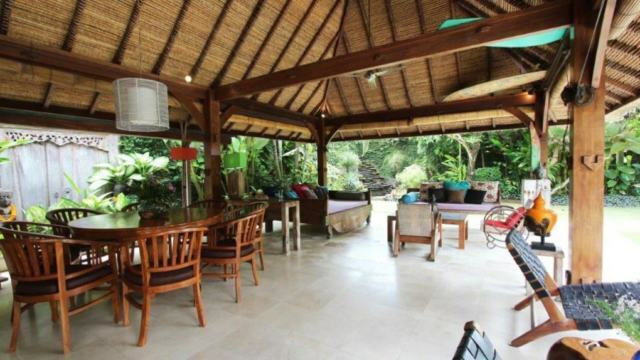 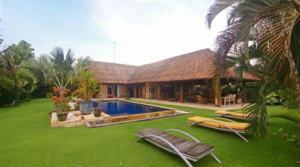 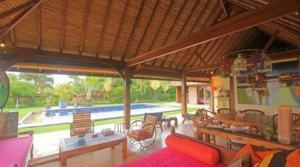 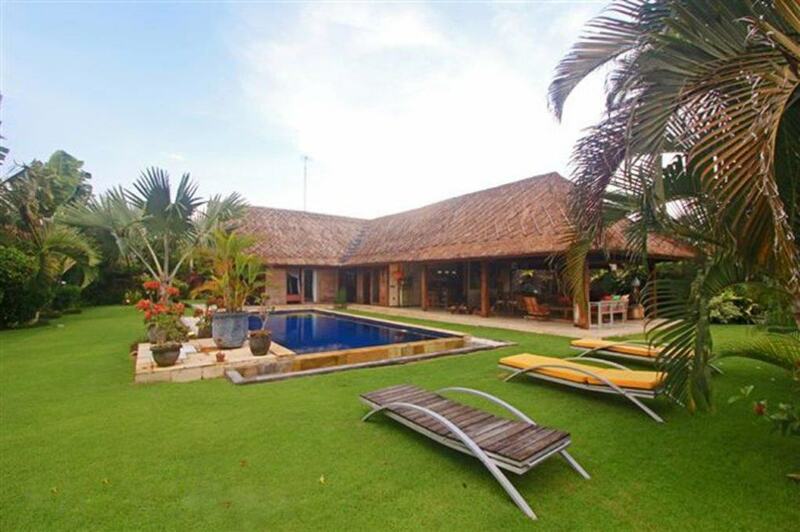 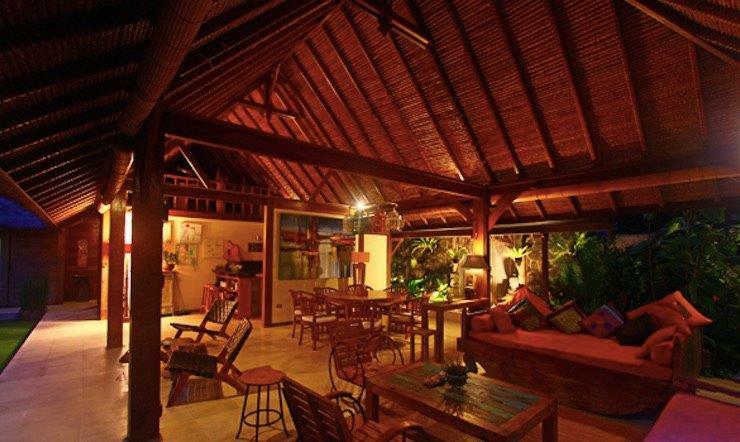 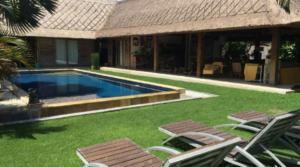 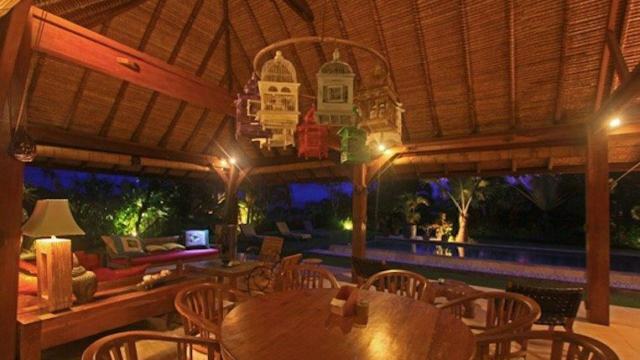 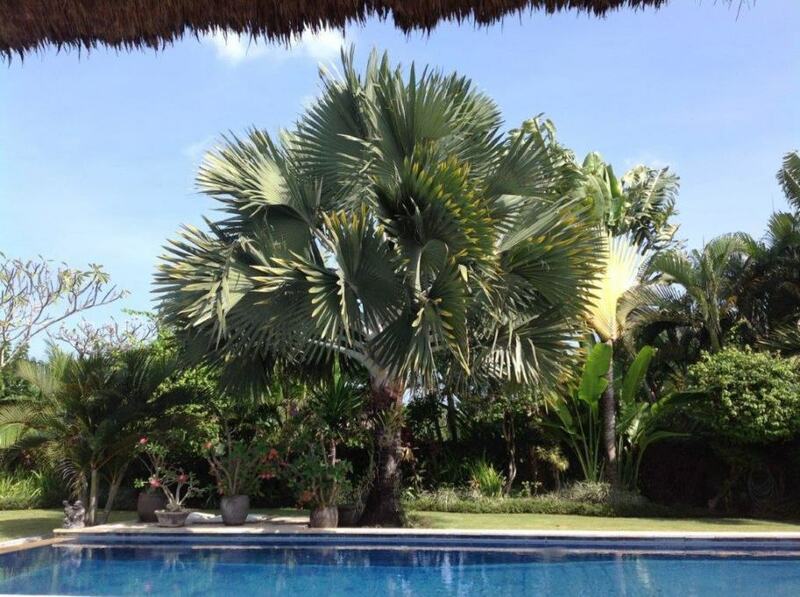 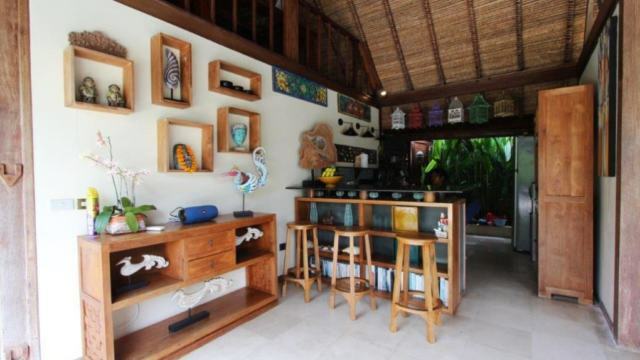 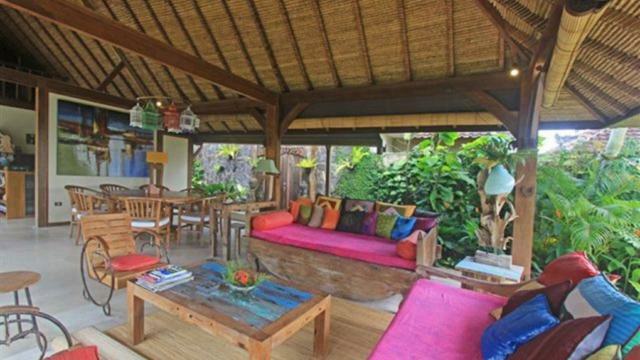 Close to the Canggu club and Canggu Deli and several beaches. 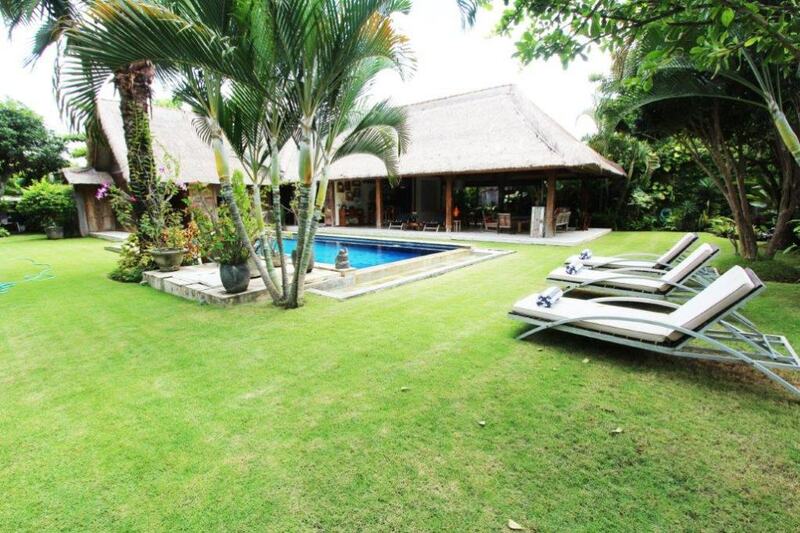 3 bedrooms, 3 bathrooms, swimming pool…are at your disposal. 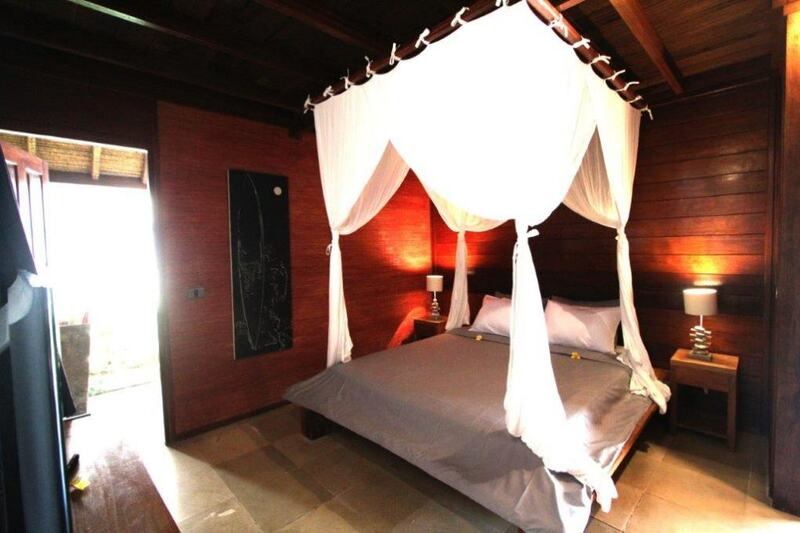 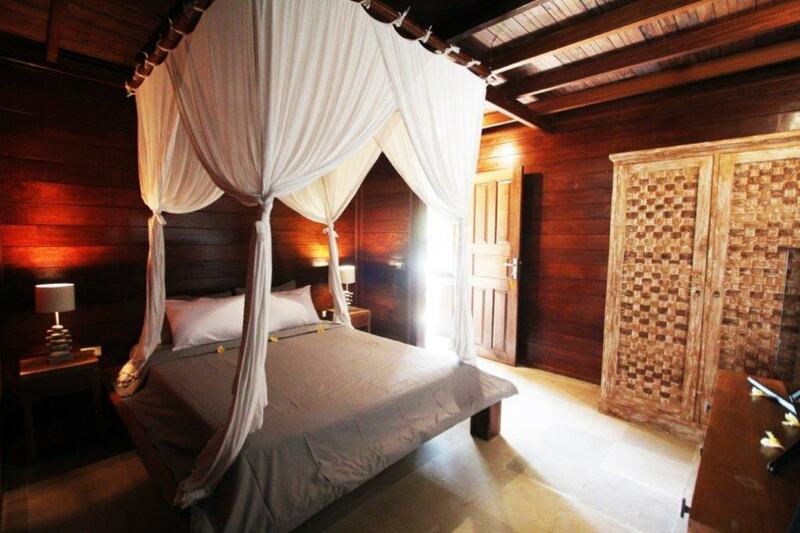 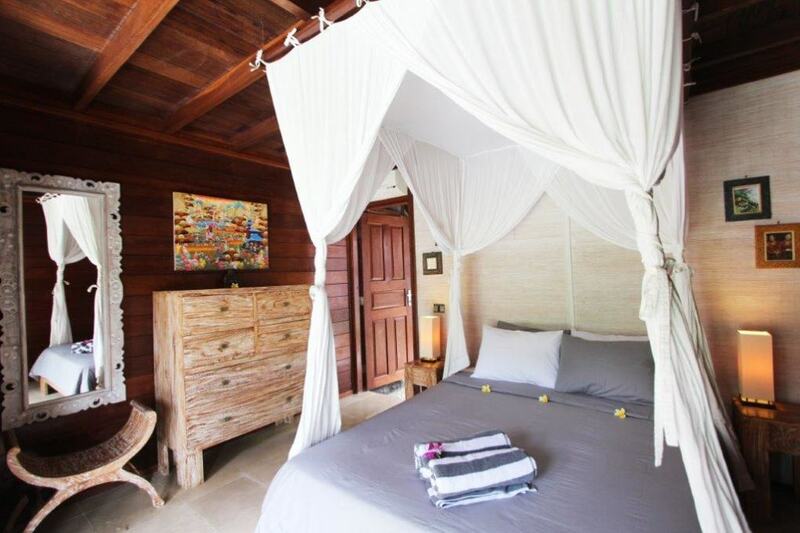 Entirely built in wooden, this villa is a real piece of heaven to enjoy holidays. The three air conditioned bedrooms, one with TV, each have its en-suite bathroom. The kitchen and large living / dining room are open to the swimming pool and tropical garden. 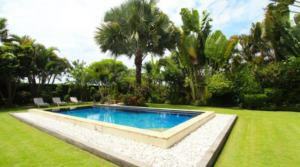 This magnificent 7 aras garden has a large swimming pool. During your stay, you will meet our lovely little dog River, is very kind and loves children. 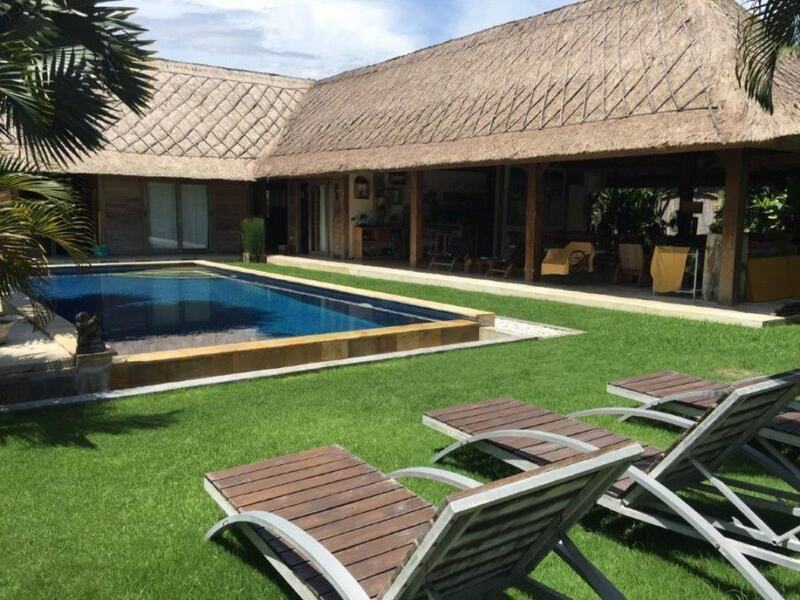 We will be present on your arrival and will ensure your comfort throughout your stay (advice, renting car or scooter, mobile phone at your disposal …). 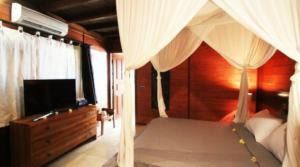 During your stay, you will meet our lovely puppy River. If you would like to prolong your stay in Bali or near ( Ubud, Lovina , Amed , Gili .. ), we will be happy to arrange this for you.